1000 Cookbooks is building a comprehensive and expertly-curated collection of the very best food and recipe content, made easily discoverable according to personal tastes and preferences. Our digital subscription service ckbk (now in beta release) offers access to the full content of hundreds of the world’s best cookbooks. People love to eat, they love to cook, and they love to read about food, but although we are drowning in online recipes, much of the best food writing exists only in cookbooks. Good cookbooks not only contain great recipes – they provide context and background, explain techniques, and help readers to develop their own culinary style. 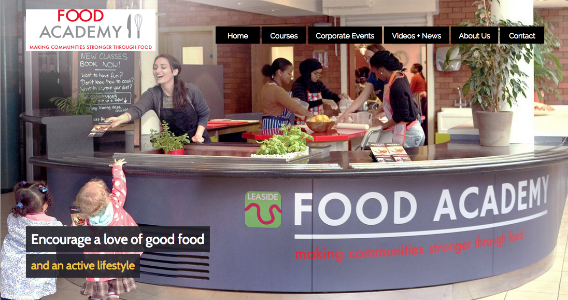 We believe that cooking, eating and sharing good food is central to a happy and healthy life. Our goal with 1000 Cookbooks is to help people discover the books and recipes which will help them to build their knowledge, expand their repertoire, and delight their family and friends. By bringing together the best culinary content, 1000 Cookbooks aims to be the best starting point online for anyone who loves food and cooking. Education is a central component of our mission. Schools recognise that basic cooking skills can play an important role in encouraging healthy eating. The kitchen can also be a great place for children to learn about science, while culinary skills open up a wide range of career opportunities. 1000 Cookbooks is working with Food Academy on innovative approaches to make it easy and fun to build basic cooking skills. For professionals, the 1000 Cookbooks platform will offer convenient access to the key content on which their trade depends, supporting chefs at every level from the most junior student to the leaders of the profession - our goal is to ensure that chefs have the material they need to refer to at their fingertips. Finally, in academia, food and cooking is increasing the subject of study by food scientists and cultural historians. By bringing together the most significant culinary content in a structured and explorable way, 1000 Cookbooks will provide an unmatched resource for these researchers, helping to preserve our culinary heritage while providing an foundation for future exploration.